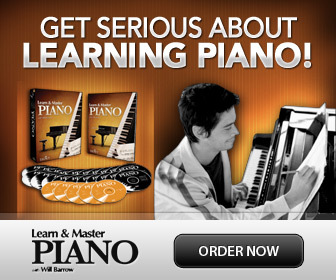 Learn to read piano notes! Here is a compact music theory lesson about the very tools we use to read and write music with. Musical notes and symbols are what we use to write down sounds and silences. 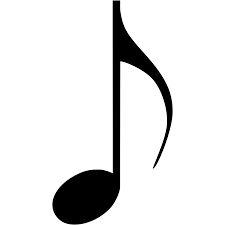 Did you know that a single musical note can show us two things? How high or low (pitch) the sound is. How long or short (duration) the note is. These notes are repeated higher and lower in the same order over and over again. When you learn to read piano notes, you need to know that the basic notes are the white keys on the piano keyboard, and written on the music staff as the notes without any sharps (#) or flats (b). The color of the note head and the stem and flag of the note tells how long or short the note is, this is called duration or the note value. To be able to read piano notes you have to know where to find the exact note on your instrument. A clef is written in the beginning of the staff. A clef points to one particular note, so we can use it as a "landmark" to find all the other notes. The musical clefs also show the general range of the notes on a staff. 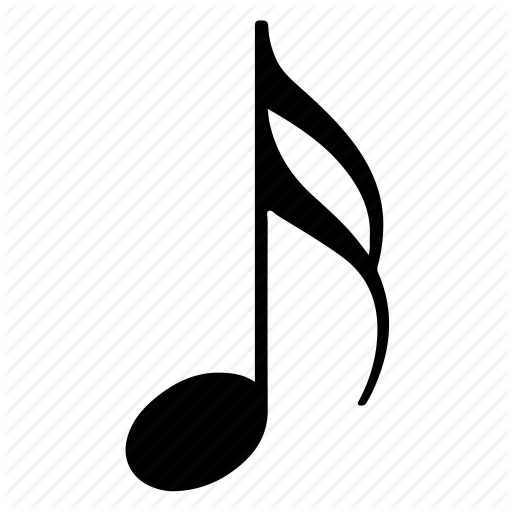 There is one clef for the high pitched notes, the G or Treble Clef, one for the mid range notes, the C or Alto Clef (which is also movable), and one for the low pitched notes, the F or Bass Clef. As pianists, we don't really need the Alto, or C clef. This clef shows exactly where "middle C" is. It is used by for example the viola. The range of for ex. a viola is focused in the middle of the treble and bass staff, so it would be impractical to have to switch between a G clef and an F clef all the time, or to have to use numerous ledger or help lines which would make it harder to read the notes. So, an alto clef solves that problem by showing the notes that are in this range on the staff. The piano has 88 keys. How can they fit on 10 lines and 8 spaces? Beat is the pulse you feel in music. It is like your heart beat, regular, but can be faster or slower. It is what makes you want to dance – or not! - to a piece. It is what makes you recognize different styles as well. The beat is organized in groups, this is called musical meter. When you read piano notes, the meter is written as the two numbers in the beginning of the staff. This is called the time signature. The top number of the time signature tells us how the beats are organized in groups, or how many beats there are in each group or measure. The bottom number tells us what note value we count as one beat. Often this will be a number 4, which means a quarter note is worth one beat. On the staff the spaces where the notes are written in groups of beats, are called measures or bars. The lines dividing them are called bar lines. The sharp sign (#) raises the note to the next black key to the right. We call this a half step higher. The flat sign (b) lowers the note to the black key on the left, a half step lower. If the note needs to go back to “normal” again we use the natural sign. So what if you are at the place on the piano keyboard where there is no black key (between e-f, and b-c)? No problem, just use the nearest white key half a step higher or lower. This changes the note name with a simple “sharp” or “flat” after its letter name, for example C sharp, (the black key to the right of C) or B flat (the black key to the left of B). -See how the keys can have two names! It is also possible to alter the note values. There are two tricks to do that. First, you can use a dot. The dot after the note makes it longer with half its value, or the note that is the next shorter. For example; the dotted half note generally lasts for three beats. And the dotted quarter note for one and a half beats, and so on. We can also use a tie. A tie is a line that connects two or more notes; they must have the same pitch for example c and the same c, so when you play you just hold the note longer. In this way you can combine any note values you wish, as well as continue over many measures if you want. When you read piano notes, you read two staffs at the same time, one with the F- clef for your left hand and the left (lower pitch) side of the piano, and one with the G clef for your right hand and the right (higher pitch) side of the piano.